Corrosion resistant diaphragm pump configured without a pressure switch and capable of continuous duty operation when operating at open flow – perfect for bait tank applications. Quiet, self-priming, and able to run-dry without damage. 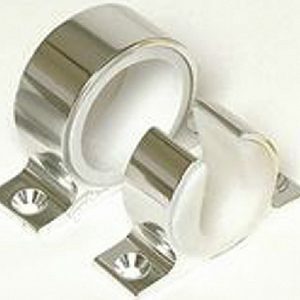 Includes quick connect fittings: two 3/4″ HB and two 3/4″ garden hose. 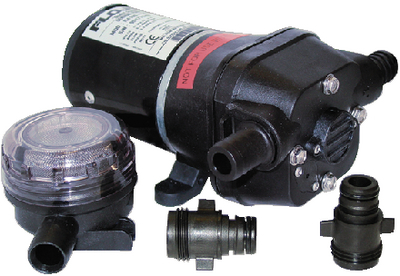 Also includes an inline strainer with 3/4″ HB connections. 3.8″ H x 6.3″ W x 8.2″ L.